I'm impatient by nature. When I'm on the interner, however, I'm like Twitchy on coffee (now imagine what happens when I'm browsing the web after having a cup of the dark brew). I don't stay on one website longer than five minutes, I struggle to finish watching a youtube video without checking something in the background, I catch myself mindlessly going to websites and asking myself "Why did I opened this tab?". It's bad. 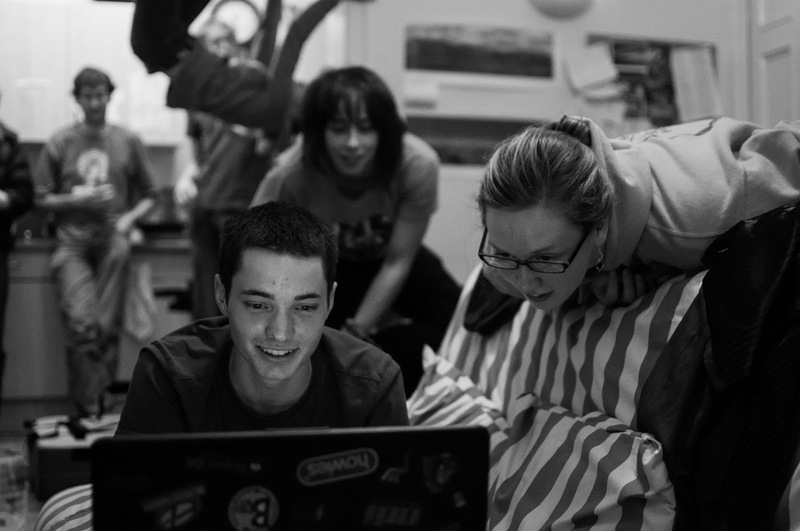 It's a constant crave for new information, new stimuli, something surprising, something funny. But it didn't use to be this way. I used to be able to finish reading a book in one sitting (even though it did not happen often). Now I struggle with one academic paper without a break. Something changed in me about how hard it is for me to focus on one task for an extended period of time. The obvious thing to blame was the Internet. And I know I'm not the only one. Why services like rescuetime.com and keepmeout.com are so popular? Why when I mention pomodoro you think about productivity instead of pasta sauce? I turned to research for an answers, but I was too lazy to do a proper literature review myself. I needed something to start. 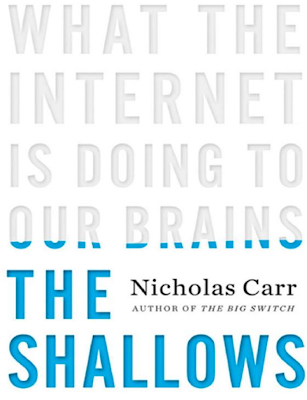 That's how I stumbled across "The Shallows: What the Internet is Doing to Our Brains" by Nicholas Carr. 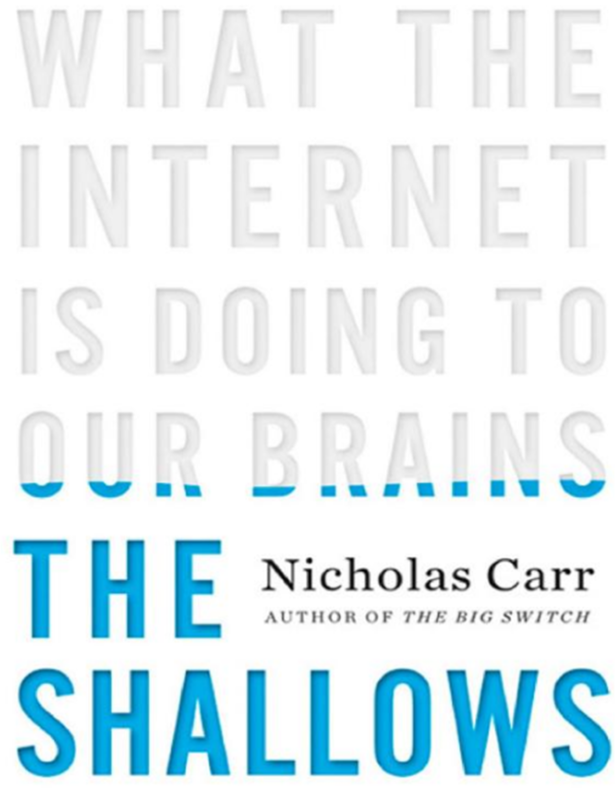 The book starts very slowly with history of neuroscience, computers, and books. Then when it get into the meat of the problem it suddenly ends. The introductory part is interesting (especially if you did not have much to do with those topics), but some seem like a space filler that is forcefully related to the real topic. Nonetheless, I have learned a handfull of interesting little facts. For example did you know that Freud, before he started his psychiatric practice was working in the field of molecular neuroanatomy? That was as close to neurophysiology as one could get those days! Another fun fact concerned Nietzsche: when his sight deteriorated he started using one of the first type writers and soon became a proficient touch typist (which apparently changed his style of writing). But apart from those little gems there are other bigger ideas laid on the pages of "The Shallows". First of all this is not he first time a technological revolution has changed how we exchange and consume information. The invention and popularization of printed books lead to wide spread (and for obvious reasons undocumented) changes of our cognitive capabilities. People were able to acquire knowledge no only through personal interaction but from then on also by spending some quality time with a book. So maybe the skill of focusing on a read that I am missing now and that seems so natural wasn't so natural back in the days. This leads to another interesting thought. Maybe evolution shaped us in a way that promotes multitasking and rapid switches of attention. After all, those seem like very useful and practical skills in an environment full of predators. So maybe the reason why the Internet has such a strong effect on us is because it taps into intrinsically natural set of skills. I know that comparing watching YouTube while checking your Facebook, to peeling fruits while looking out for lions seems far fetched, but there might be something to it. PS A friend reviewed this book for the Science magazine - please have a look. If you have access... Cannot wait for open access to become a standard! PPS I'm done with the book and since I hate accumulating things (makes moving really hard) I'm happy to give it (mail it if needs be) to anyone who gets in touch with me first.